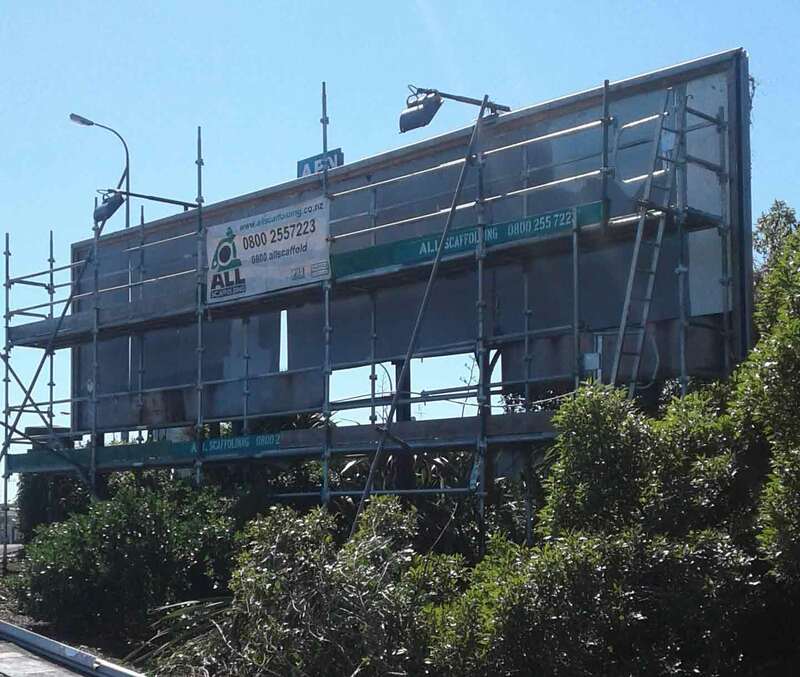 Damaged by high winds, this billboard in Kingsland was deemed unsafe, due to its close proximity to pedestrians and the railway line. All Scaffolding stepped in with a Kwikstage scaffolding solution, providing safety, along with access for repairs. 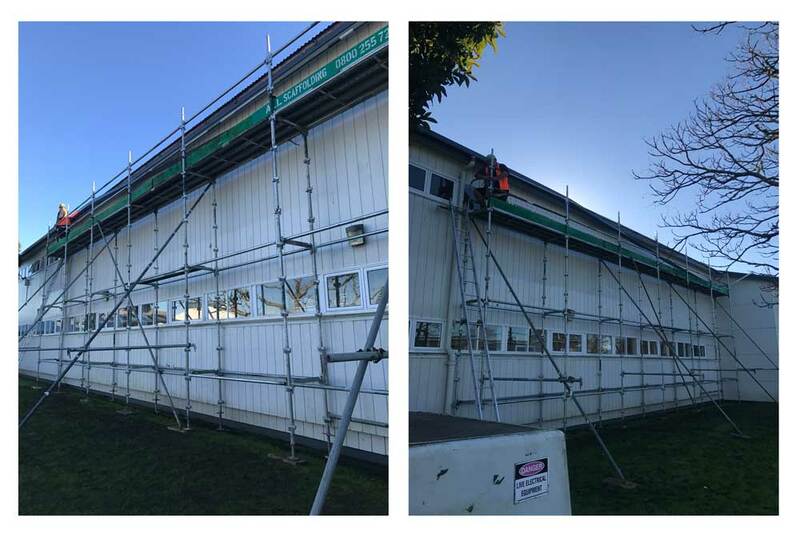 Tamaki College in Glen Innes are replacing the spouting on the main building so by building a scaffold access platform - industry standard three planks wide at spouting height makes the replacement easy, safe and super quick saving time and money. 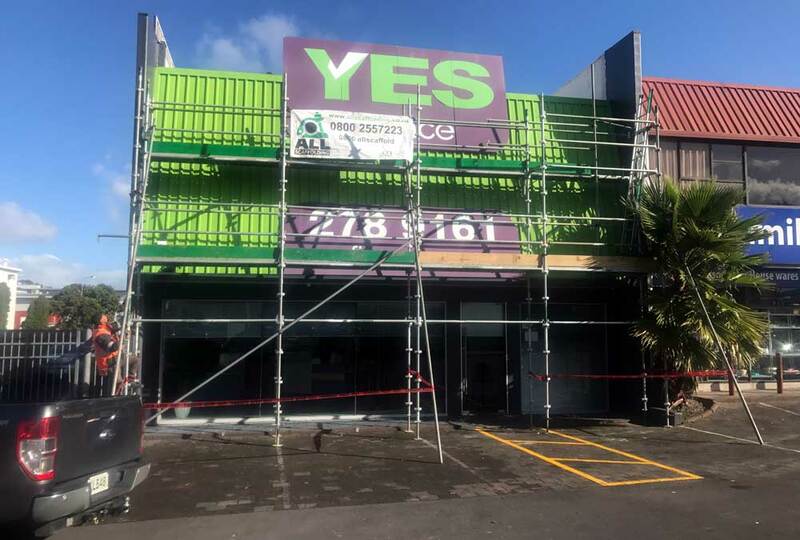 When YES Finance in Manukau wanted to have a makeover they called All Scaffolding. The building has a sloping exterior panel so with the use of Hop Upsand Tube and Clip scaffolding we can angle back the platforms for ease when working. - Problems solvers! The housing boom seems to be spreading and this Whitford new build is underway. 300m2 of tube and clip which always acts as roof edge protection and will have two boarded access planks which are industry standard.